Pokemon GO is now available in Japan. 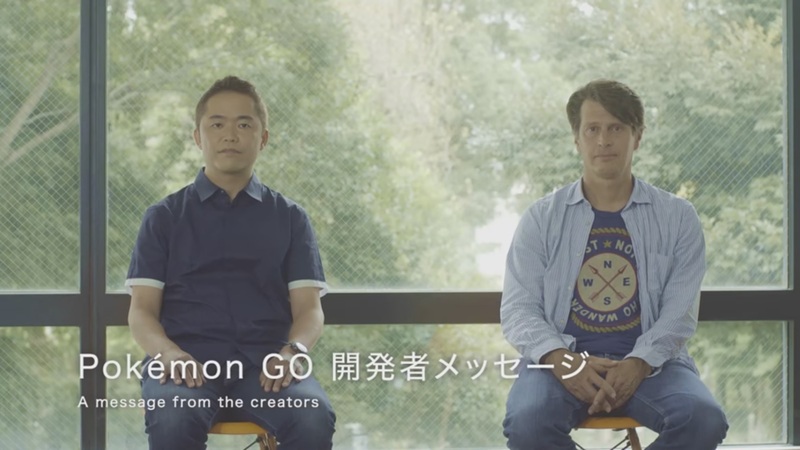 To celebrate, Niantic’s John Hanke and Game Freak’s Junichi Masuda shared a few words. Most of the message is from Hanke, though Masuda’s comments are unfortunately available in Japanese only. Aside from the video, Nintendo issued a notice on its investor’s website about its forecast in response to Pokemon GO. Essentially, things are staying the same from now. You can read the full message below. Niantic, Inc., a U.S.-based company, has begun to distribute the “Pokémon GO” application for smart devices in Japan today. This mobile game application is developed and distributed by Niantic, Inc. The Pokémon Company, which is an affiliated company of Nintendo Co., Ltd. (the “Company”), holds the ownership rights to Pokémon. The Pokémon Company is going to receive a licensing fee as well as compensation for collaboration in the development and operations of the application.